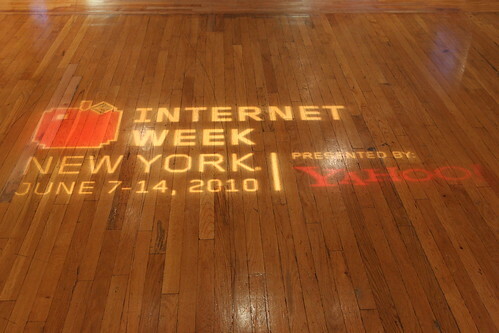 Launched in 2008, Internet Week New York has become one of the world’s top festivals celebrating digital culture, as well as a global showcase for New York City’s thriving technology industry. The annual event draws more than 45,000 people from around the world to over 400 events panels, conferences, exhibits, meetups, and parties across the city. 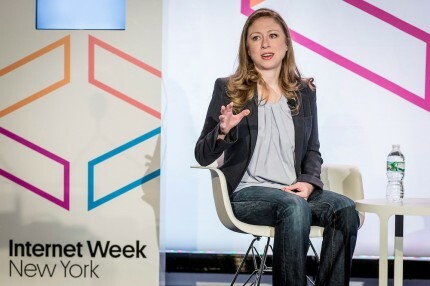 Internet Week New York 2015 closed out with a round table with Chelsea Clinton, who discussed the recently released findings of the No Ceilings Full Participation Report. The groundbreaking report compiles and analyzes data from more than 190 countries to identify the progress women and girls have made over the last twenty years and the gaps that still remain. “Billions of people connect to the Internet around the world. But according to the report, an estimated 200 million fewer women than men are online in developing countries, and 300 million fewer women own a mobile phone,” Jillian Eugenios wrote in a CNN Money story covering Clintons presentation at IWNY. 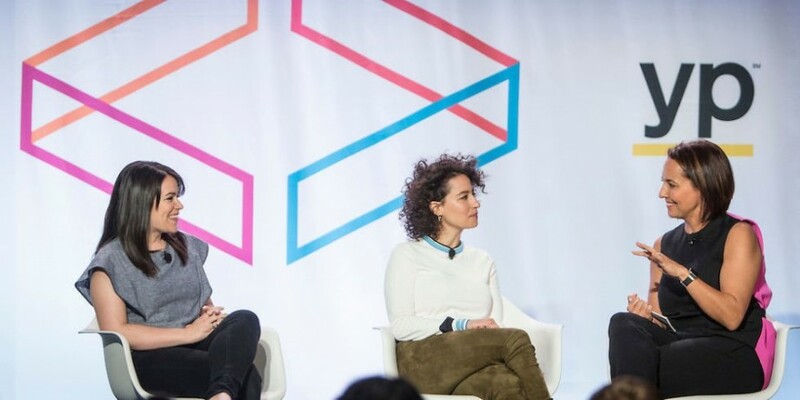 Internet Week New York 2015 kicked off with Broad City’s Ilana Glazer and Abbi Jacobson’s keynote conversation with Marie Claire Editor-in-Chief Anne Fulenwider in front of a sold out crowd at IWNY’s headquarters at the Metropolitan Pavilion in May. Their entertaining and informative conversation about social media, especially Facebook, and the essential role it played in Broad City’s success produced media attention from outlets such as The Guardian, New York Magazine’s Vulture, Bedford + Bowery, New York Business Journal, The Fader, and Media Post, as well as several others. 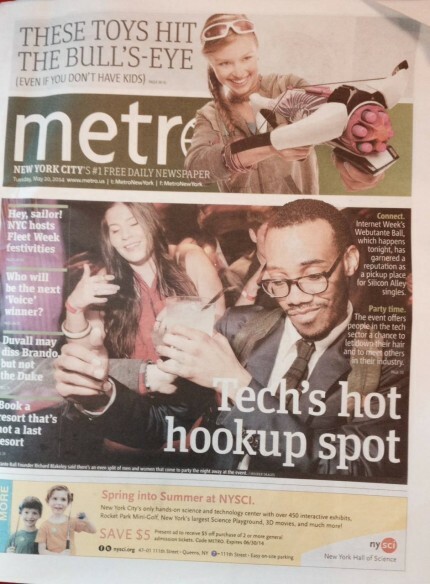 Internet Week New York’s Webutante Ball made the cover of today’s edition. It’s part of a daily series that Metro reporter Andrea Park has filed on the festival, including an in depth preview of the festival’s top events and a video interview with IWNY speaker and Lucky Magazine editor Eva Chen. Internet Week and CBRE this week launched launched an original web series this week exploring the workplaces of 12 of the top digital companies driving New York City’s thriving tech-based economy, including Bloomberg, Fueled Collective, Squarespace, Thrillist and Tumblr. 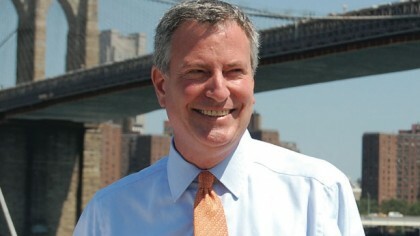 Marking his first major address to New York City’s technology industry, New York City Mayor Bill de Blasio will deliver the opening keynote address kicking off Internet Week New York 2014 on Monday, May 19th. In his remarks, Mayor de Blasio will present his vision for the role of the technology industry in New York City and outline the administration’s plans to support and grow our city’s innovation economy. For more on what to expect, check out TechCrunch, Forbes, Crain’s New York, New York Business Journal, and Epoch Times. On the heels of Yahoo! acquiring NYC Tumblr this week, CNN Money’s Laurie Segall interviewed Internet Week New York festival director Caroline Waxler about the next wave of Big Apple startups poised to make it big. 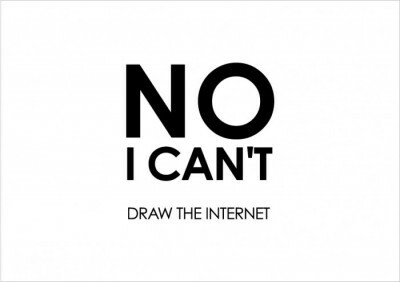 That must mean its Internet Week! Internet Week New York is expected to bring more than 45,000 people together for a week of more than 400 parties, panels, performances, exhibits and more. Everyone from Joan Rivers, to Randi Zuckerburg and Pete Cashmore will be in attendance. This year’s festival focuses on how technology is disrupting the city’s quintessential industries—from finance, fashion, and advertising to arts, entertainment, and media. PKPR secured coverage across the board, making sure conference seats were filled, parties were packed and exhibits had a steady stream of attendees by securing preview coverage in top tech, lifestyle and business outlets, including: AM New York, HuffPost Live, New York Daily News, WNYC, BetaBeat, DNAInfo, Guest of a Guest and more! Celebrating its 5th year, Internet Week New York 2012 resulted in more coverage in a wider variety of outlets than ever before, solidifying its role as a leader in the New York City tech boom. For the week-long festival, PKPR secured over 250 articles and credentialed nearly 300 journalists to cover this year�s festival, representing a 60% increase in both metrics over 2011. In-depth coverage of the festival, which consisted of over 200 events, exhibits, panels, and parties across the city, included New York Daily News, Adweek, Forbes.com, AFP, and New York Observer�s BetaBeat. Additionally, PKPR secured 30 broadcast segments including New York 1 News, New York Daily News video, NBC New York Nightly News, and Voice of America. PKPR worked with the NYC Mayor’s Office on coordinating a major press conference on May 15th at Internet Week New York Headquarters where Mayor Michael Bloomberg, Chief Digital Officer Rachel Sterne and Internet Week New York Chairman David-Michel Davies unveiled the Made in NY Digital Jobs Map, an interactive guide to the City’s startups, investors, incubators, and coworking spaces, including over 325 digital companies that are currently hiring for thousands of jobs. Created by Internet Week New York in partnership with the Mayor�s Office of Media and Entertainment and the New York City Economic Development Corporation, the Made in NY Digital Map already plots more than 500 digital companies across the five boroughs. The map offers direct links to the companies’ jobs listings pages and pinpoints the city’s hottest tech hubs, from the Flatiron District to DUMBO. Over 30 media outlets attended the press conference, resulting in coverage in the New York Times, New York Post, Fast Company, TechCrunch, Mashable, Huffington Post, The Next Web, Crain’s New York Business, BetaBeat, VentureBeat, NY1, WABC, Portfolio, DNAinfo, and The Epoch Times. 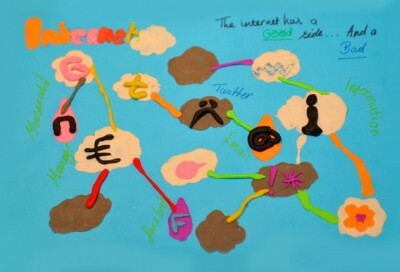 One of the highlights of Internet Week New York was Can You Draw The Internet, a competition that challenged artists, graphic designers, and New York City school children to capture the Internet’s billions of websites, videos, and photos in just one image. The results were funny, surprising, and often beautiful. Outlets charmed by the exhibition ranged from TechCrunch (retweeted more than 500 times) and Huffington Post to Babble.com and The Next Web. The first-ever archaeological dig of the Internet, Digital Archaeology, brought some of the Internet�s earliest and most influential websites back to life in an interactive exhibition that made its U.S. debut at Internet Week New York. The exhibit was created by ad agency Story Worldwide in partnership with Google. Visitors had the opportunity to surf 28 bygone sites on the vintage hardware and software corresponding to the period of each site�s launch. The centerpiece of the exhibit was a display of The Project (1991), which reunited the first-ever website created by World Wide Web inventor Sir Tim Berners-Lee, with the pioneering NeXT Cube and the Nexus browser. Other highlights included leading lights from New York City�s early digital scene such as Word.com (1995), one of the Web�s first e-zines, and The Blue Dot (1995), an art and design playground by pioneering online agency Razorfish. The exhibit also featured experimental browser The Web Stalker (1997) and the self-destructing website for the film �Requiem for a Dream� (2000). NPR’s On The Media produced an in depth segment that brought the exhibit to listeners nationwide in the way that only NPR can do (listen for yourself below). Other coverage highlights included CNN, Fast Company, Time.com, CBC, Adweek, MSNBC.com, The Next Web, Yahoo!, The New Jersey Star Ledger, ReadWriteWeb, PSFK, and New York Observer’s Betabeat. 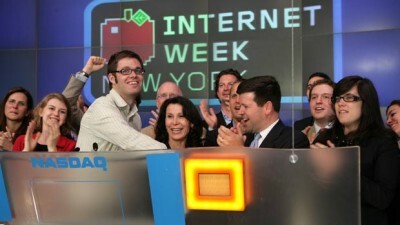 Nearly 250 crowd-sourced events, including panels, exhibits, meetups, conferences, and parties, will bring the Internet to life across New York City during Internet Week New York 2011 from June 6 � 13. Senators Chuck Schumer and Kirstin Gillibrand, Will.i.am, Rachel Ray, Jane Pratt, Kevin Jonas, Tyra Banks, Isabella Rossellini, Foursquare founder Dennis Crowley, Craigslist founder Craig Newmark, New York City�s Chief Digital Officer Rachel Sterne, Fred Wilson of Union Square Ventures, Tumblr founder David Karp, and Pandora founder Tim Westergren are just a few of the thought leaders participating in events throughout the week. Many outlets previewed Internet Week New York this week, using the citywide festival as a news peg to survey the state of New York’s growing technology sector. Advance features included The Wall Street Journal, New York Daily News, The New York Post, The Next Web, and Xconomy. To kick off the festival, PKPR organized a Press Preview Breakfast on June 6, where the more than 150 journalists will have an opportunity to preview exhibits at the festival’s headquarters, as well as meet the organizers of events being held throughout the city. Living up to its reputation as the ultimate crowd-sourced festival, Internet Week New York last week launched Make the Stage, an online campaign that allows the public to submit and select the live presentations for the festival’s main stage. Now in its fourth year, Internet Week New York has fast become the world�s top celebration of all things digital. This year�s festival, which will take place from June 6th through the 13th, is expected to draw over 20,000 people to more than 200 crowd-sourced events across the city. Located at Internet Week New York Headquarters, the AOL Broadcast Stage showcases interviews, panels, and presentations by the Internet�s top brands and thinkers, with all programming streamed live to a global audience. Check out coverage of the campaign - and Alex Blagg from A Bajillion Hits’ brilliant promo video (above), in New York Magazine, Gawker, Bulldog Reporter, AdRants, NYConvergence, PR Newser, and MediaBistro. Is Internet Week the new Fashion Week? For more reports from Internet Week NY, check out NPR, The Daily Beast, Mashable, NY1 , and The Star Ledger. New York City is gearing up for the third annual Internet Week New York, which will will host over 150 events between June 7-14 at the festival’s first-ever headquarters at Chelsea’s Metropolitan Pavilion and at dozens of locations throughout the City. Reflecting both the rise of New York City as a new tech capital and the festival’s emergence as a top annual gathering for Internet leaders, the diverse slate of programming includes everything from panels, conferences, and educational events to art installations, live performances and parties. To build buzz for the festival, PKPR secured preview stories in a wide range of media including the Wall Street Journal (”Internet Week New York kicks of seven days of Web geekery”), New York Times (”Tech festivals land”) CNN (”The next Silicon Valley? It may be New York”), NBC New York (”Internet Week to be bigger and better”), Metro (”The tech sector powers up”), Hollywood Reporter, Village Voice, ZDNet, PCMag, and Mediabistro. We couldn’t have written a better headline for Fortune’s wrap-up piece on the Internet Week New York 2009. 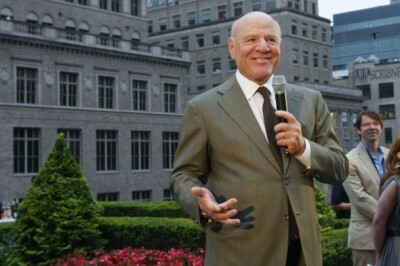 PKPR once again handled publicity for the weeklong festival celebrating New York’s Internet industry. An estimated 15,000 people, including such industry movers and shakers as Al Gore, Barry Diller, Rupert Murdoch, Martha Stewart, and Twitter co-founders Jack Dorsey and Biz Stone, attended over 110 conferences, panels, exhibits, screenings, and networking events hosted by the likes of YouTube, Microsoft, Digg, Time Warner, Mediabistro, Digitas, and College Humor. Highlights ranged from NY Tech Meetup Showcase to the first-ever Webutant Ball. 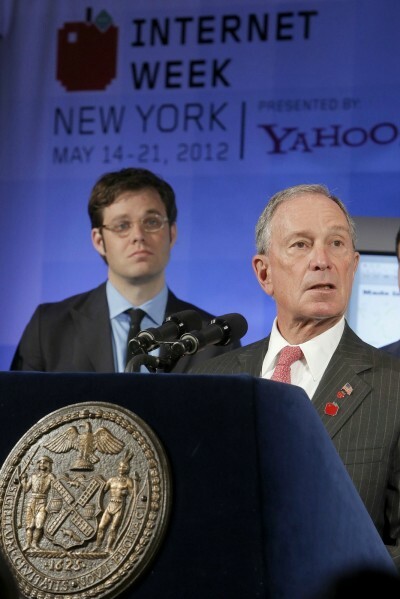 More than 100 reporters and bloggers were credentialed to cover Internet Week. Coverage included Wall Street Journal, CNN.com, New York Post, New York Observer, All Things D, Crain’s New York Business, CNET, and Huffington Post. PKPR helped kick-off the first-ever Internet Week New York with a blast of coverage this week including a full-page Daily News story on how the Internet has changed New York, New York Post, Metro, Time Out New York, Hollywood Reporter, and CNET. In all, PKPR has credentialed more than 70 media outlets and bloggers to cover the more than 80 events happening throughout the week. 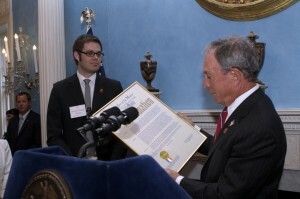 Our favorite event: the official launch at Gracie Mansion where Mayor Bloomberg welcomed the City’s digital media leaders and pondered whether his buddies on Facebook were true friends. The New York Times chimes in here. And check out this great New York 1 segment, which also features PKPR client and Internet Week event partner Arts Engine. PKPR’s strategy for launching the first-ever Internet Week New York was profiled in PR Week’s “Launch Pad” column. In addition to securing launch-day stories in outlets such as the New York Daily News, Variety, CNET, Crain’s New York, and Mediabistro, PKPR created Internet Week New York groups on Facebook, LinkedIn, and other social networking sites to attract potential event partners for the weeklong festival celebrating New York’s Internet industry and community.